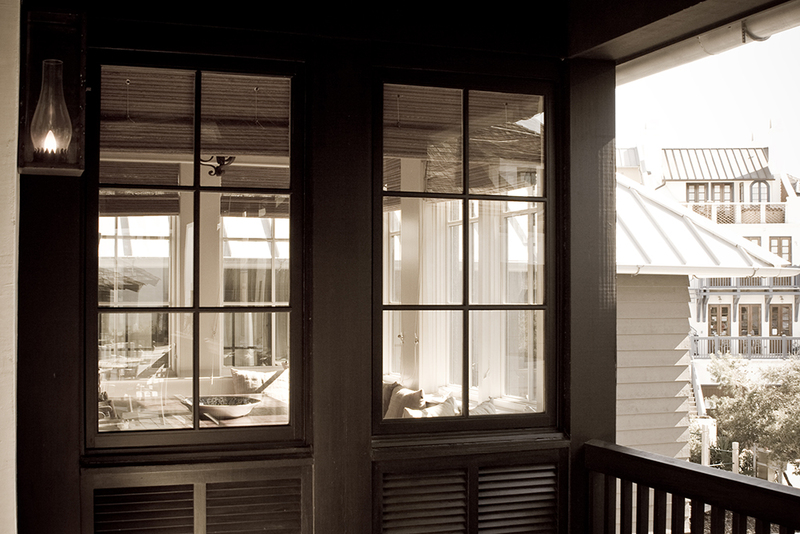 This Rosemary Beach side-yard house fronts the pedestrian boardwalk on the way to the beach. 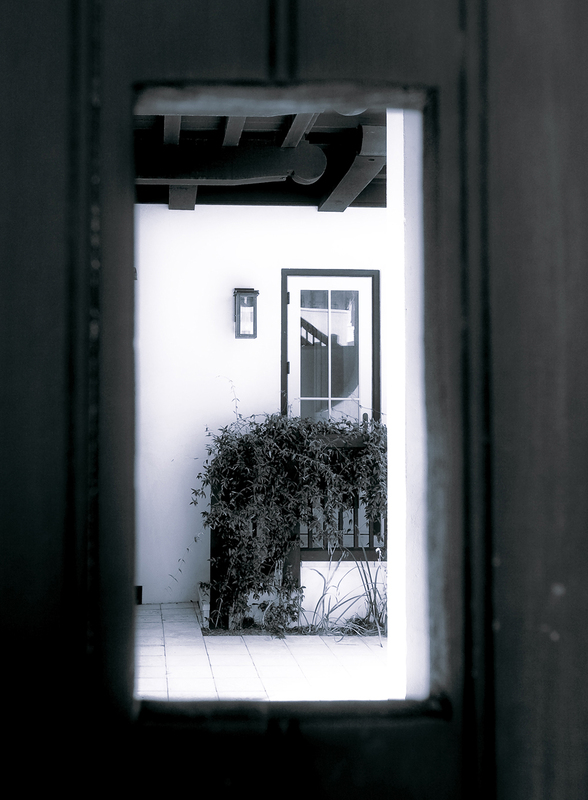 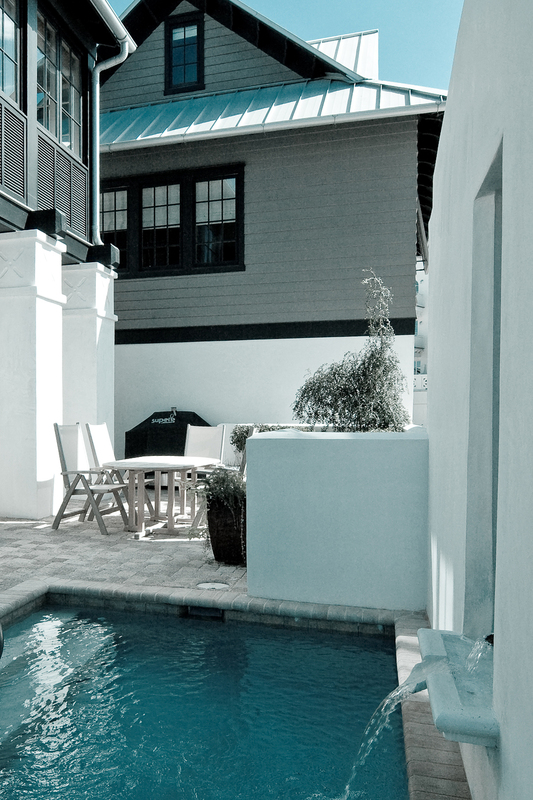 The carriage house encloses a private side-yard terrace where a fountain and pool provide a focal point. 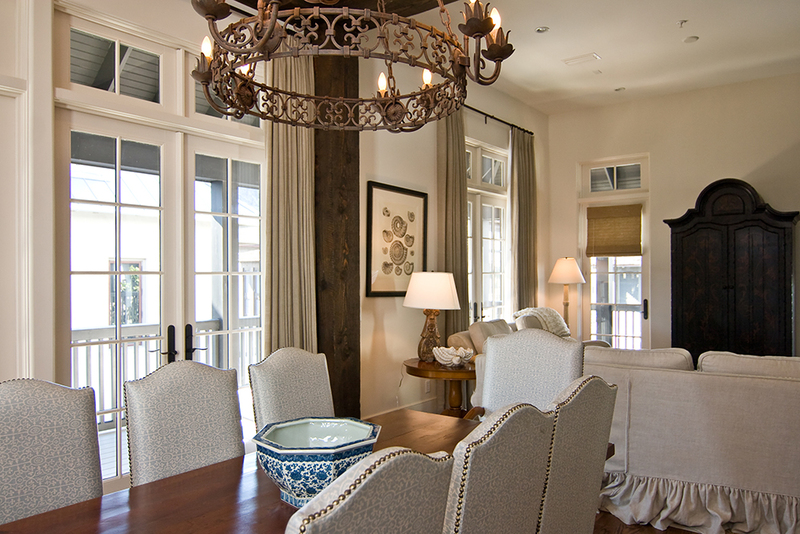 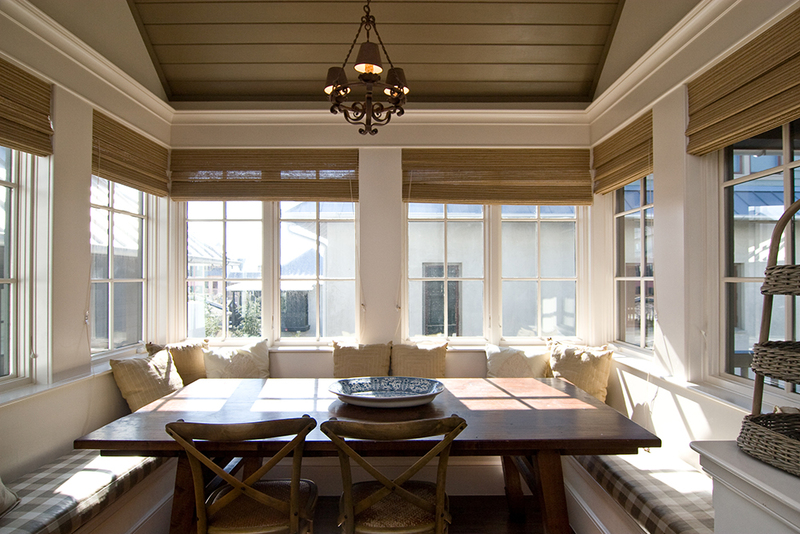 Inside, the living area opens to a wrap around porch with views to the Gulf, and a large banquette opens to the kitchen. 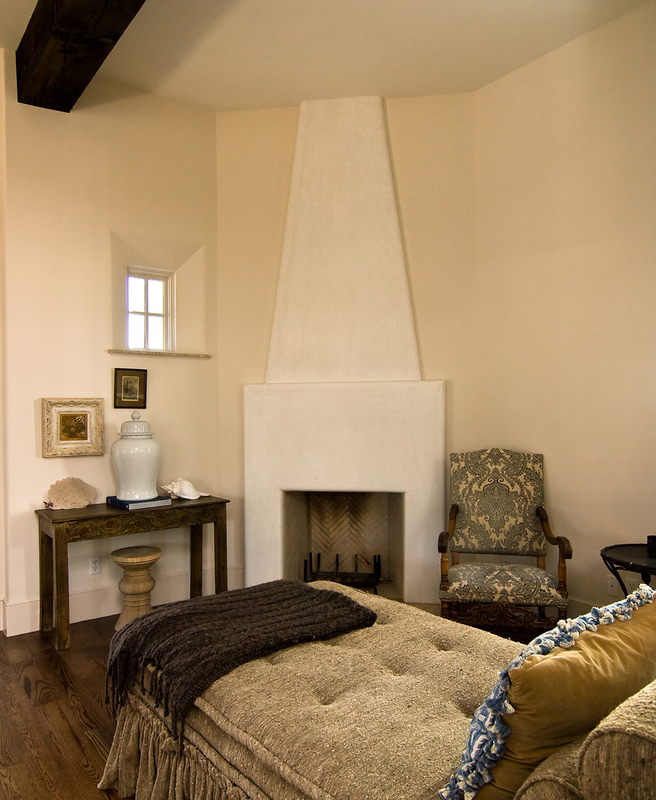 A sitting room with a small fireplace provides a cozy place to escape. 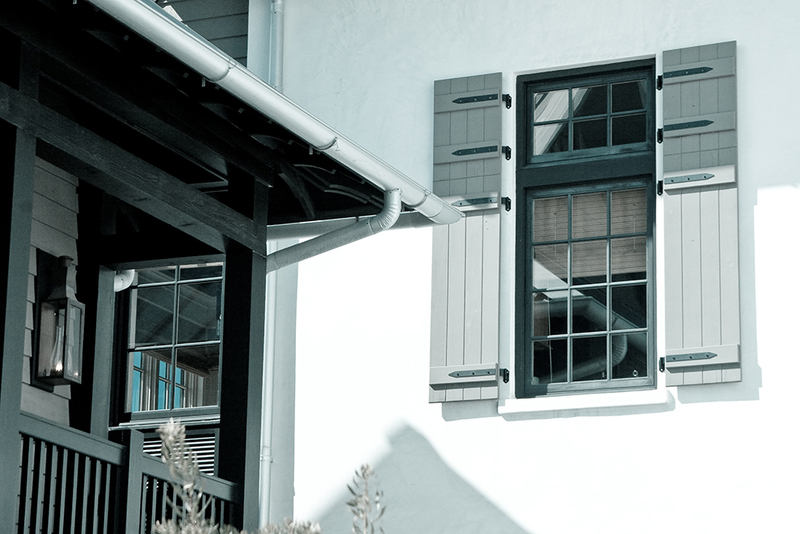 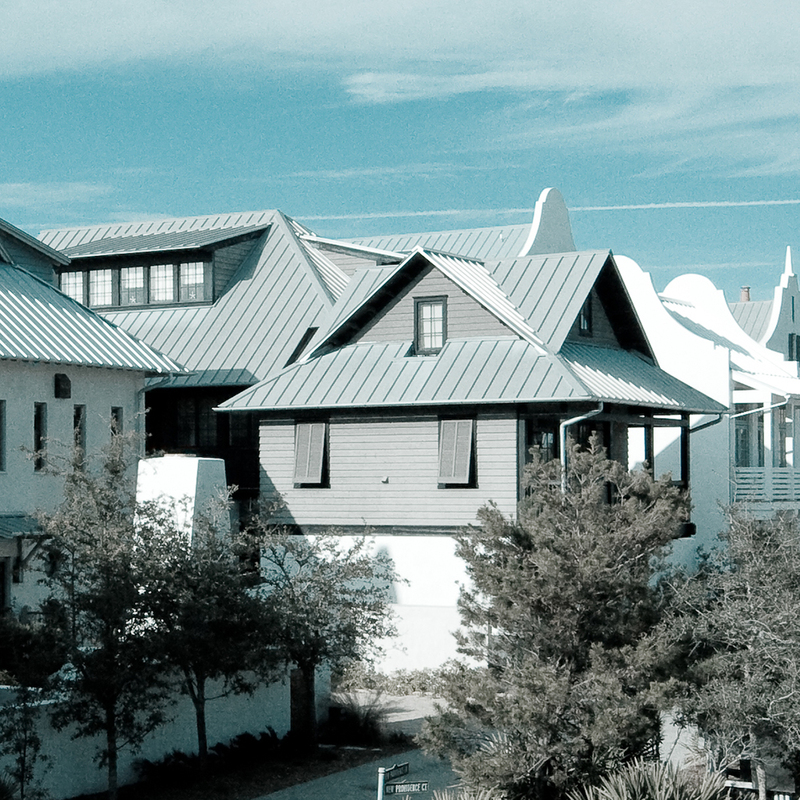 This Rosemary Beach side-yard house fronts the beachward pedestrian boardwalk. 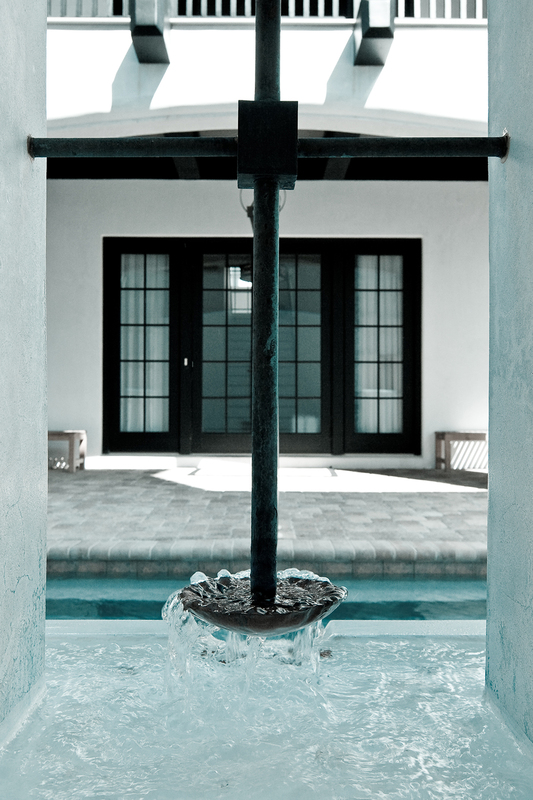 A private side-yard terrace has a fountain and pool provide the focal point.